Updating the appliances in your kitchen is a great way to make the room more functional in addition to increasing value of the home as a whole. We’ve highlighted Sub-Zero refrigerators and Wolf cooktops before, but what else does CAGE Design Build recommend? From dishwashers and cooktops to hoods and ovens, here are a few appliances we recently added to our Los Gatos kitchen remodel. Although washing dishes by hand is always an option, most homeowners prefer the convenience of a dishwasher in their kitchen. Bosch’s dishwashers are known as the quietest brand in North America, in addition to being extremely water and energy efficient. Their custom panel designs can even be created to match your kitchen cabinets so the appliance blends into the surrounding cabinetry. 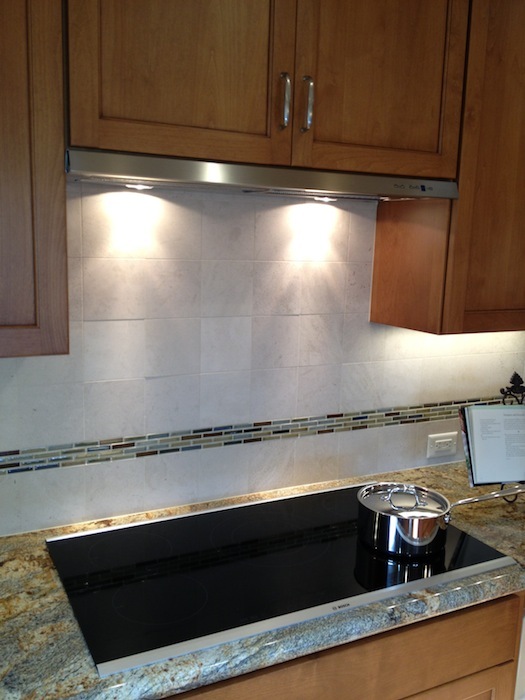 The dishwasher wasn’t the only kitchen appliance from Bosch added to the Los Gatos kitchen remodel. The homeowners also opted for the Bosch induction cooktop. Engineered in Germany, these cooktops are known for various design choices and high performance. What makes an induction cooktop different from electric or gas? As WiseGeek explains, instead of the burners heating up and energy being transferred to the pans, induction coils “generate magnetic fields that induct a warming reaction in steel-based pots or pans; it is the cooking vessels themselves that heat the food, not the stove elements.” Benefits to this type of stove include energy efficiency, less cooking time, easy cleaning and overall safety. Because the client wanted a hood that visually took up minimal space, they opted for a Best hood, specifically the U10236SBE model. With a slim design and a dishwasher-safe stainless steel filter, this particular appliance boasts quiet, efficient external blowers with HVI-certified performance hidden in the cabinet above. Electrolux’s wall ovens boast CustomConvect convection technology, which “distributes heat evenly throughout the oven by adding a third cooking element plus a variable speed fan.” Their Wave-Touch display only lights up when you touch it, providing a sleek look to the appliance when it’s not being used. Are you looking for the perfect appliance for your kitchen? Whether you’re interested in ovens, cooktops or more, contact us to find out how CAGE Design Build can help!